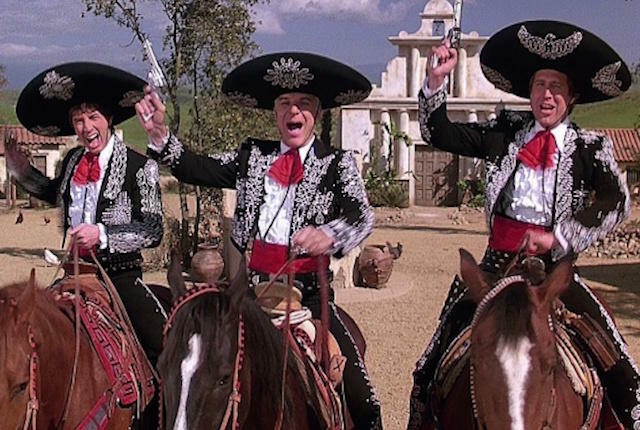 Thirty years ago today, The Three Amigos premiered in theaters! It's one of my favorite old comedies and it never fails to provide a plethora of laughs every time I watch it. Here's one of my favorite scenes. And just one more great scene where gringos are falling from the sky! So remember, wherever there is injustice, you will find us. Wherever there is suffering, we'll be there. Wherever liberty is threatened, you will find... The Three Amigos! Baby Groot For The Win!